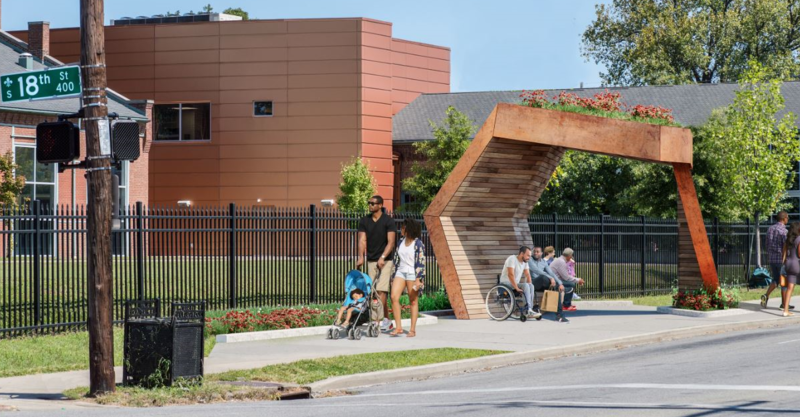 Five artistic bus shelters will be placed throughout the Russell neighborhood providing public artwork, shelter for transit riders and improved neighborhood safety with additional lighting and other smart features that will be included. 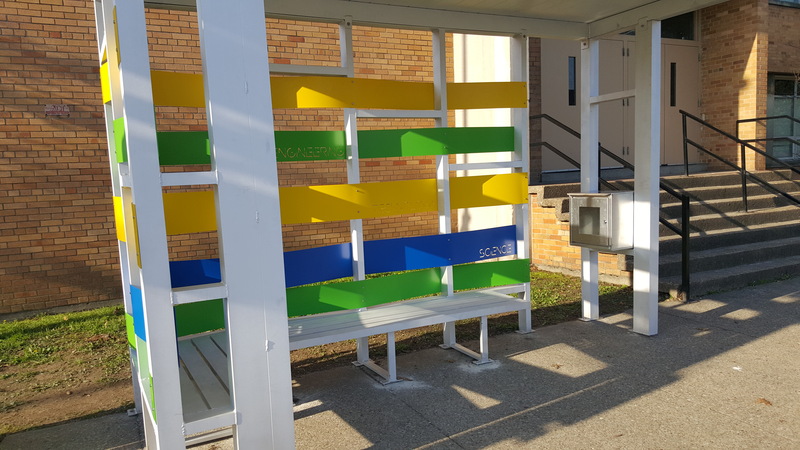 Three architectural groups – Luckett & Farley, VBNA and HDDS, inc. – designed SmART Stop shelters with community input to enhance existing high-traffic TARC bus stops in the Russell neighborhood. 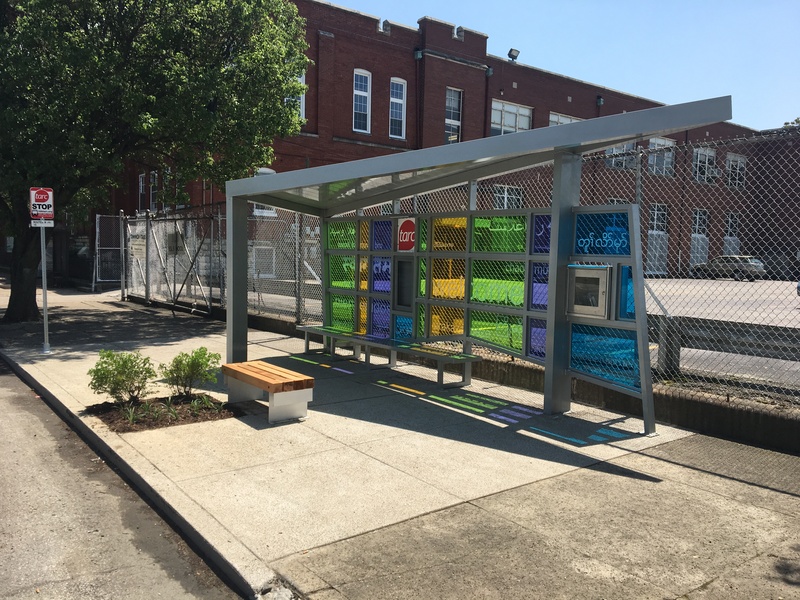 All SmART Stop Shelters will be ready to use by Summer 2019. 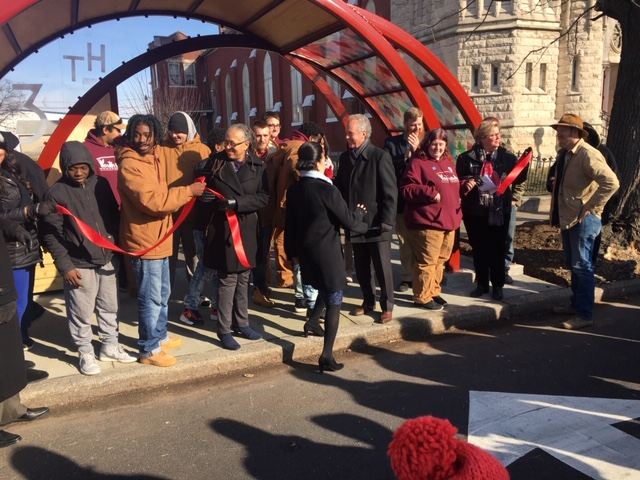 See photos of the completed shelters below!